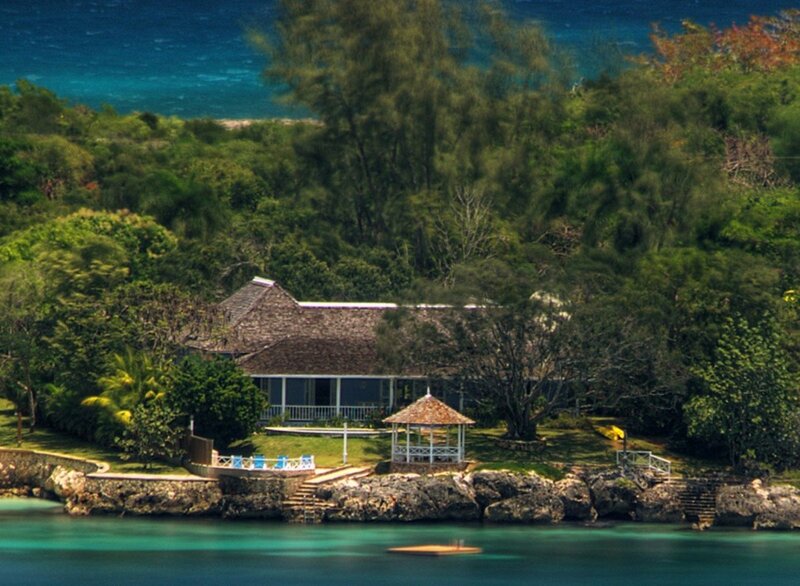 Villa Sea Haven on Discovery Bay on Jamaica is the perfect choice for guests who want to vacation right at the water's edge. 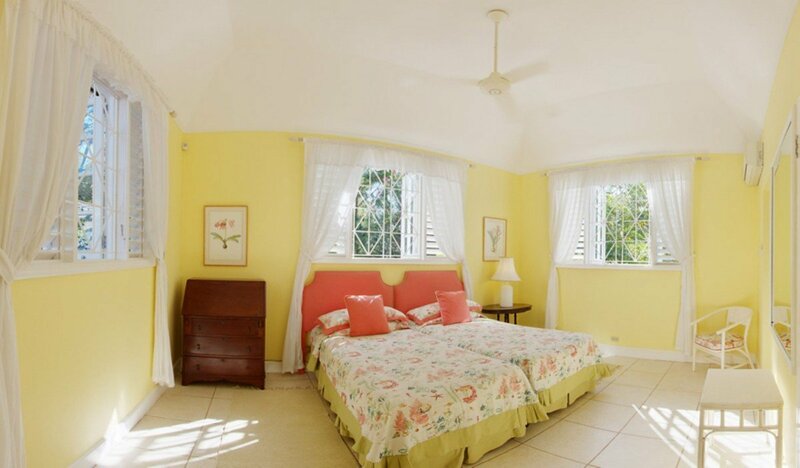 This traditional West Indian cottage is steps away from scenic Discovery Bay on Jamaica's desirable north coast. Enjoy every convenience that makes for a memorable and relaxing tropical vacation, including a seaside gazebo, a relaxing hammock and a private pool. Take advantage of complimentary sea kayaks to explore the calm waters along the shoreline, and use snorkel masks and fins to discover the colorful underwater world. 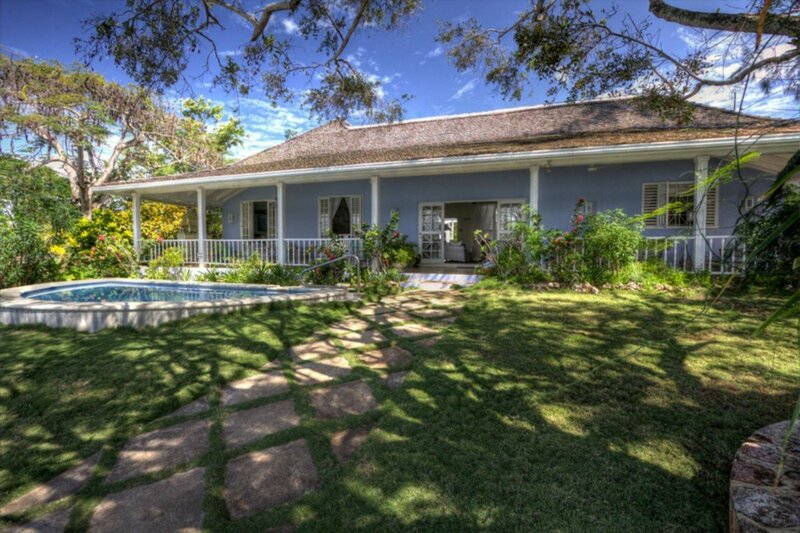 Villa Sea Haven is situated on an acre of waterfront property with panoramic views of the bay and the Caribbean Sea beyond. 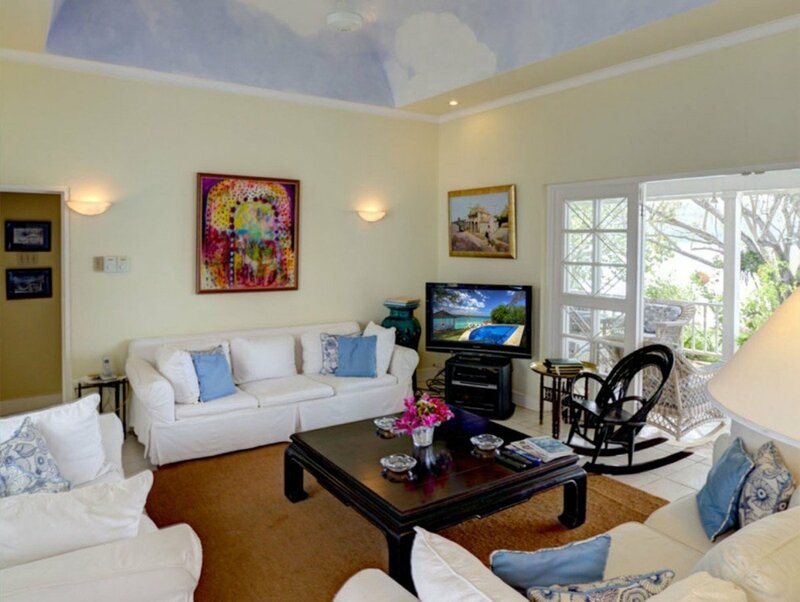 The living room is decorated in soft, upbeat island colors and white sofas. Doors admit a profusion of natural light along with cooling island breezes. 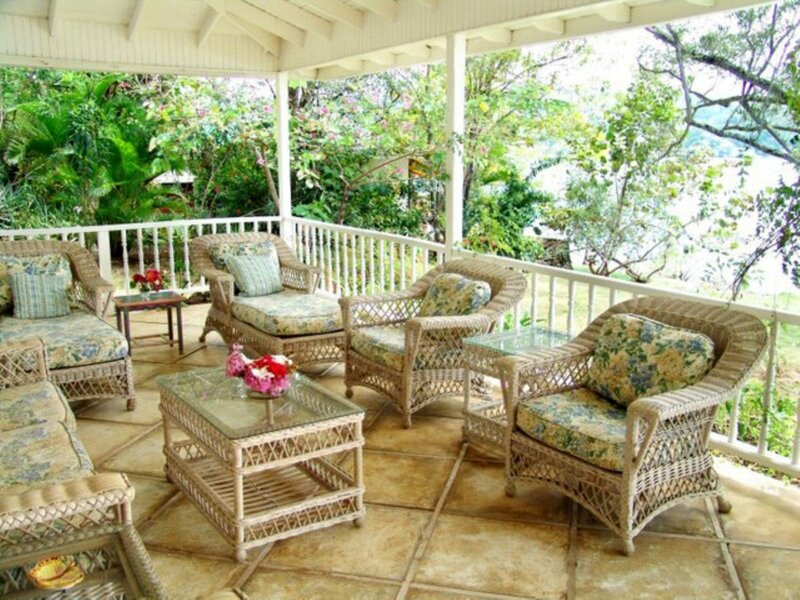 Relax on the adjacent 60-foot verandah furnished with white wicker and floral cushioned furniture including comfy sofas and rocking chairs. 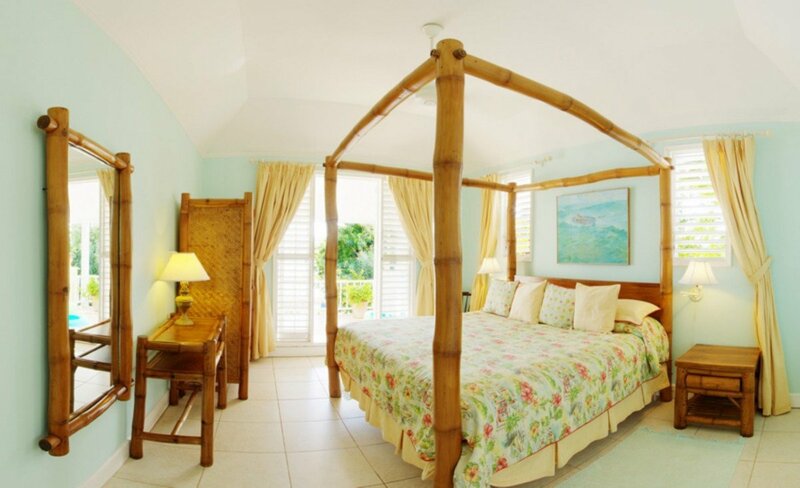 Enjoy graceful flowering vines and gorgeous views of the sunset over turquoise bay waters. 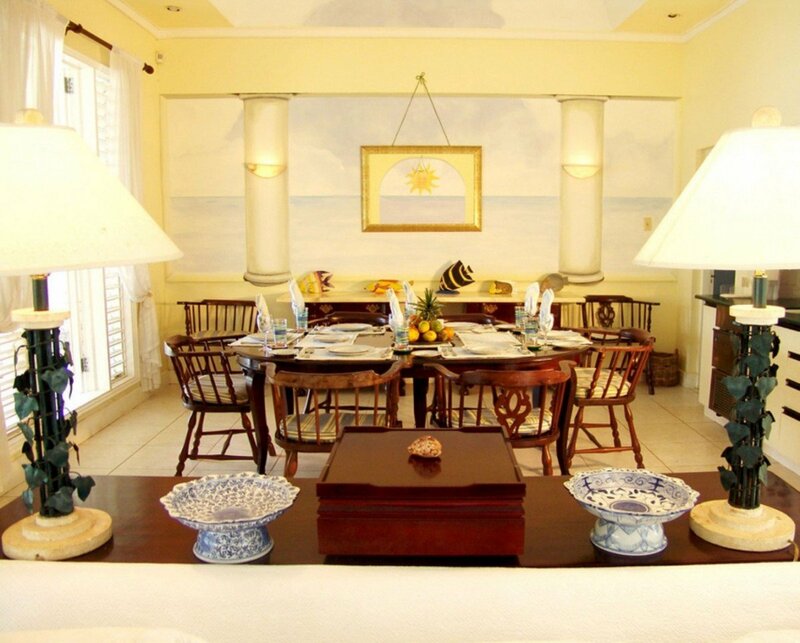 The villa features interesting antiques including chairs once used by naval officer Horatio Nelson, a schooner captain and a British Lord. 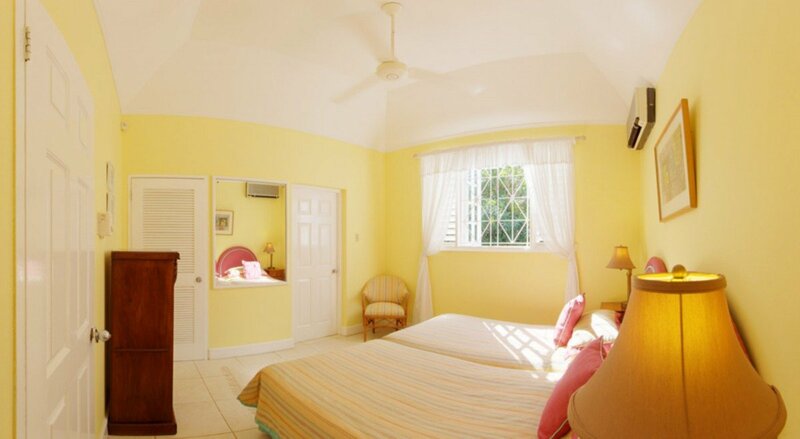 Villa Sea Haven is fully staffed with a cook, housekeepers and a gardener. 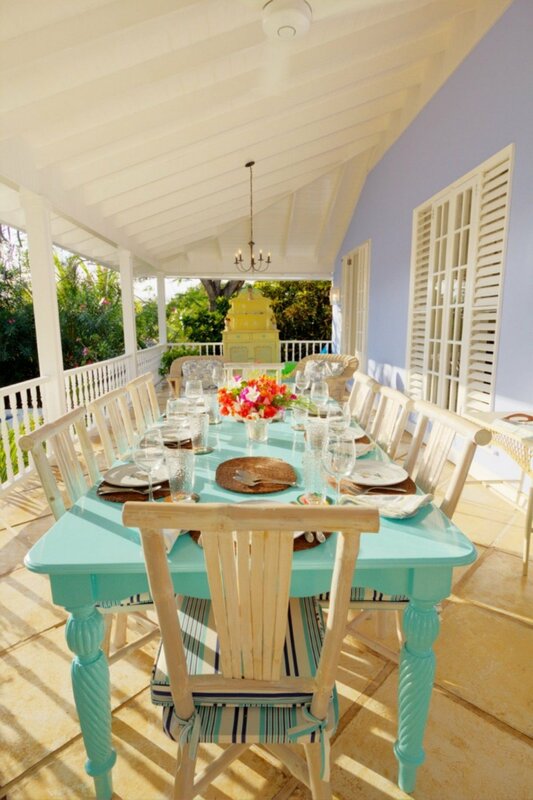 Savor delicious candlelight dinners prepared just for you on Spode china served indoors or al fresco on the verandah. For a romantic experience, request service in the covered gazebo perched on a coral formation right at the edge of the sea. 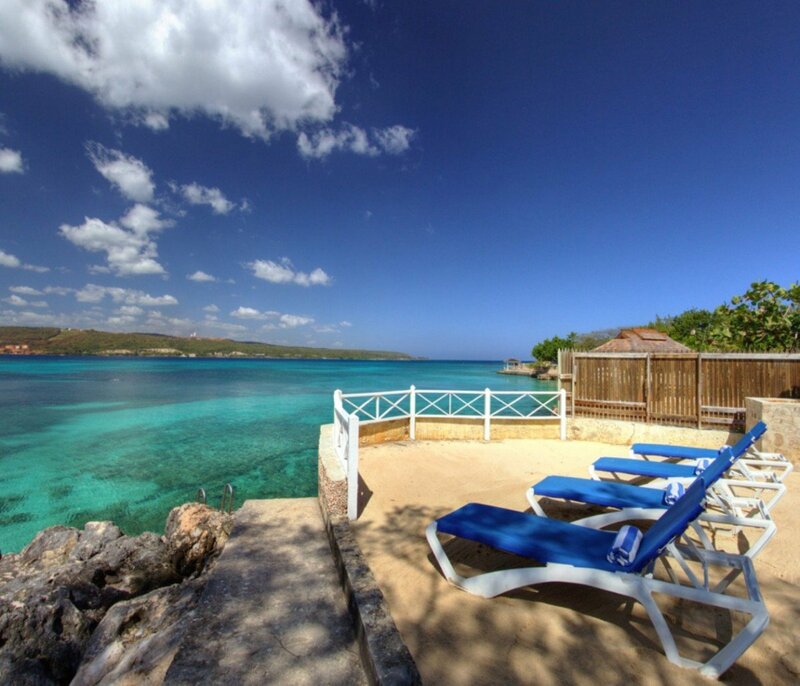 Villa Sea Haven has a sandy area to one side of a cut stone stairway that leads right down to the water. Swim to the sunning platform and take a dip in the Jacuzzi plunge pool. Guests at the villa will enjoy the latest electronics, including WiFi Internet service, cable TV, a CD player and a surround sound system. There is a stone barbecue for casual meals. Bedroom 1: Master bedroom with a king-size bed, bay view and en-suite bathroom with bathtub/shower combination, vanity and WC. 2 guests maximum. Bedroom 2: Bedroom with a king-size bed, access to verandah, bay view and en-suite bathroom with bathtub/shower combination, vanity and WC. 2 guests maximum. Bedroom 3: Bedroom with a king-size bed (can be made up as two single beds) and en-suite bathroom with bathtub/shower combination, vanity and WC. 2 guests maximum. Bedroom 4: Bedroom with a king-size bed (can be made up as two single beds) and en-suite bathroom with shower, vanity and WC. 2 guests maximum. 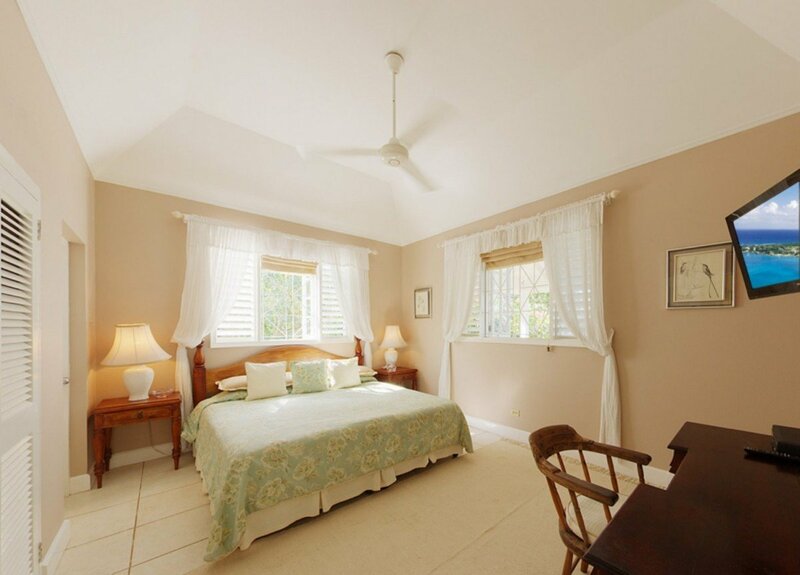 Charming property set on a beautiful, natural bay on the north coast. We enjoyed paddle boarding and kayaking. The Sea Haven staff is amazing! Miss Elva is one of the best cooks we have had in Jamaica. The back patio and gazebo are wonderful for relaxing. We had an incredible 5 days. Living in Jamaica you kind of expect the nice beach warm sun etc, nothing prepared me for how relaxing and comfortable the stay was. Ms Elva and the ladies took care of all our needs. I brought my own cook along not knowing what to expect because as a family we are fussy. My cook got a vacation as well. It was just awesomely relaxing. You have to let them take you to the cove its like your own private beach where you can commune with nature. I really rested it was a welcoming worry free vacation. We bought fish from the fishermen that was just heading in with their day's catch and Ms Elva prepared it deliciously. I would definitely recommend here cant wait to be back. The Sea Haven villa is wonderful! 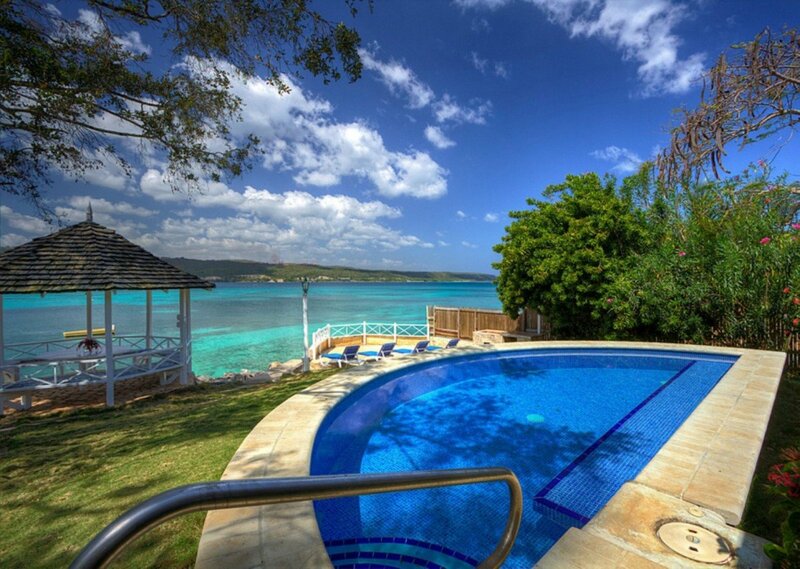 The house is simply amazing with a killer pool and perfect snorkeling in the backyard with kayaks for a nice paddle . Exactly as described. Elva and her staff were more then first class. Rum punch was out before we could think about it, rooms turned as soon as we walked out of them, AMAZINGLY cool meals (from traditional Jamaican to American), even did our laundry. Every whim is taken care of, it was a great vacation. 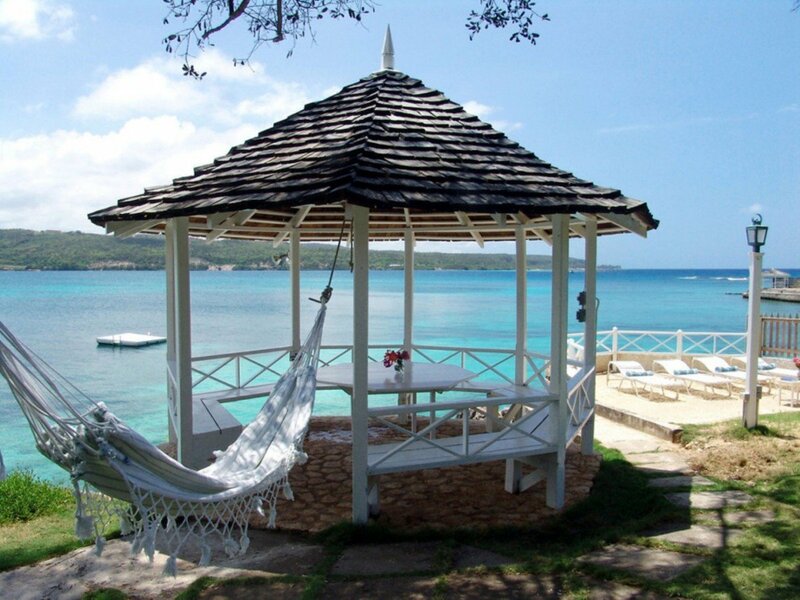 Many spectacular attractions are a close drive away (I'd recommend getting a rental) near Ocho Rios. Dunn Falls is to die for. Our family of 8 had an great experience. Only negative is don't expect the WiFi to move mountains (good luck getting your email). But who needs that on vacation anyhow. 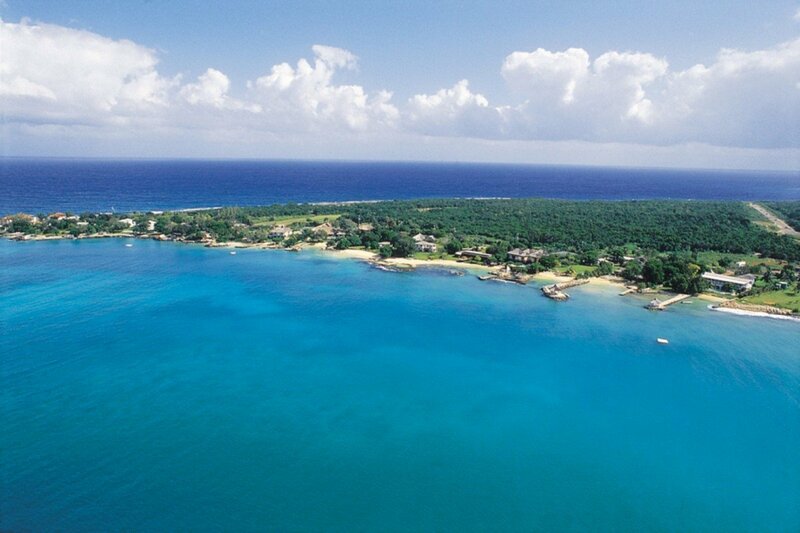 Enjoy the Jamaican life.